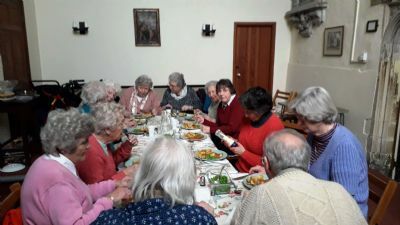 St Mildred's Tuesday Club has been in existence since 1982, meeting in St Mildred's Parish Room every Tuesday. In Winter it runs from 13.30 - 15.30 hrs. In Summer it runs from 14.00 - 16.00 hrs. Membership is about seventeen at present. On the first Tuesday of the month, there is a short Communion service at 14.00 hrs followed by board games. On the second Tuesday, there is a light, cooked lunch followed by the games. These may be Rummikub, Whist, Scrabble or New Market. The meeting ends with everyone joining hands and saying the Grace together. Members receive a card and small gift, when it is their birthday. Anyone is welcome to come and visit at any time to see if they would like to join in. Email Vivienne 'Viv' Woods or use the Contact Us form. Alternatively telephone the Benefice Office 01227 786109. 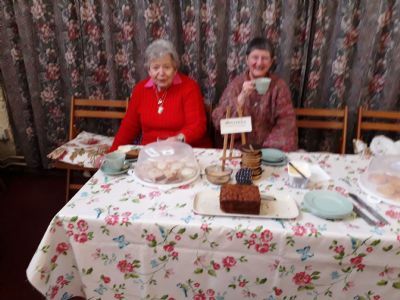 Friday Morning Drop-in takes place at St Mildred's and, as the title suggests, is every Friday from 10.00 hrs - 12.00 noon. It has been in existence for about twelve years and is a real success story. 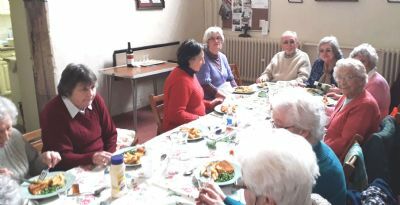 It is a social part of St Mildred's Church. There is no charge for refreshments; people generously drop something into the novelty donation box. Friday Morning Drop-in is a great venue for meeting friends, old and new. Anyone visiting this lovely church is invited to join us for coffee too. 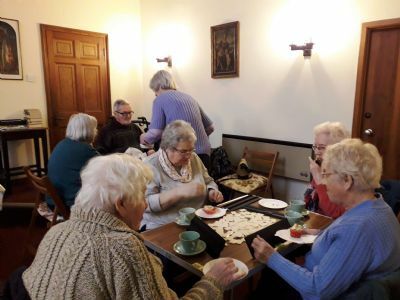 As L'Arche community is situated at The Glebe, the members regularly come and have coffee with us too. Friday Morning Drop-in is a calm oasis in a busy world; cool in summer and warm and inviting in winter. The Saturday Coffee Morning runs from 10.00 - 11.30 hrs every Saturday in the St Dunstan's Church Hall. This session is important for many people in the community who live on their own. Volunteers will serve you (with a smile!) with tea or coffee for 50p plus free refill. Everyone is welcome. 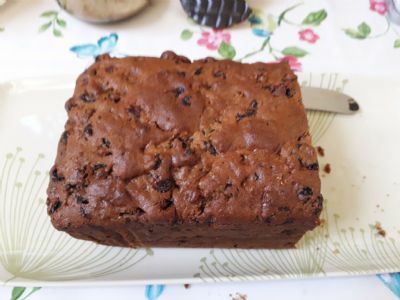 You can choose a book or a freshly made cake from the regular stalls. There are also days when special sales are featured, such as, plants and craft materials etc. Email Chris Todd or use the website Contact Us form. Alternatively telephone the Benefice Office 01227 786109. 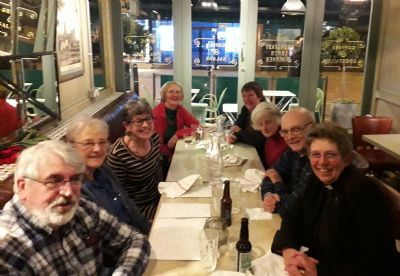 The Club meets on the first Tuesday of the month at 19.00 hrs at a restaurant in Central Canterbury, to share food and friendship. We normally try and stick to just one course to keep the cost down. Everyone from the Benefice is very welcome to come along and details are normally in the Benefice bulletin on the preceding Sunday. If you wish to join the email mailing list for the Supper Club, email Mary Streater or use the Contact Us form. Alternatively telephone the Benefice Office below.